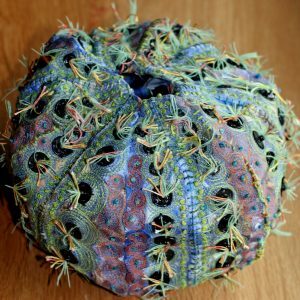 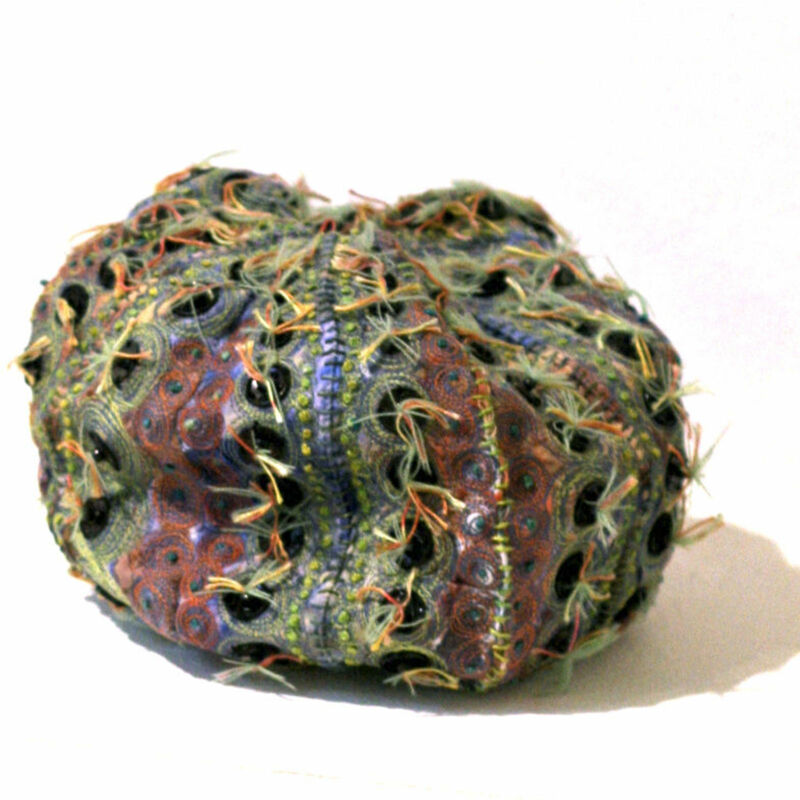 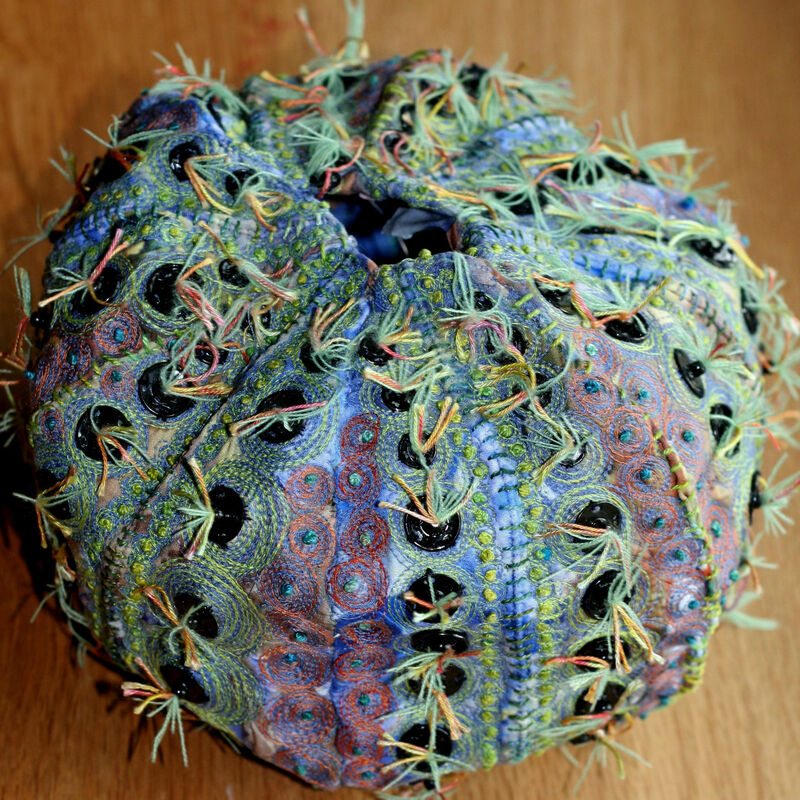 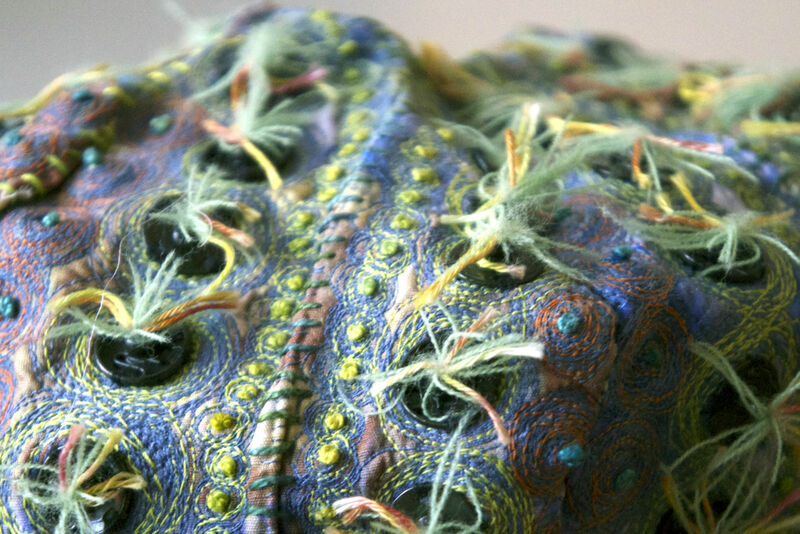 Mother Urchin was the piece where I developed the technique of using embroidery to alter flimsy fabric to create sturdy forms. 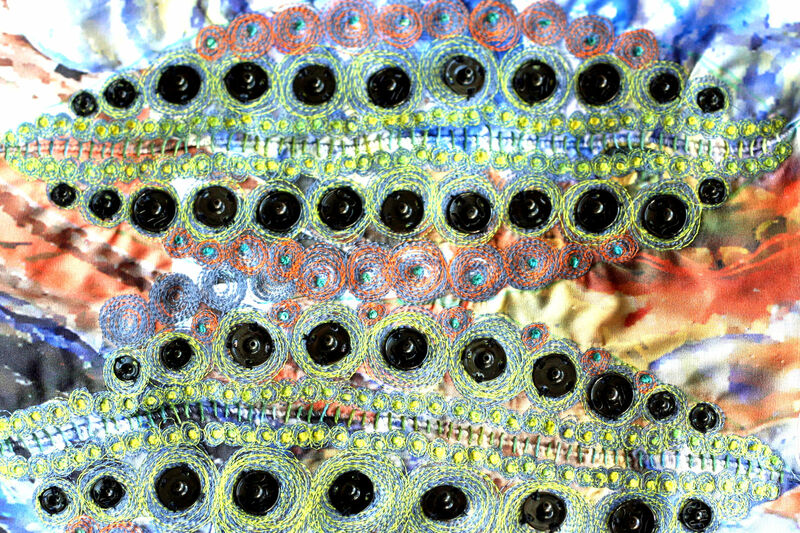 The base fabric is an abstract collage printed onto cotton and lined with indigo-dyed cotton bump. 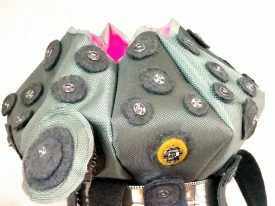 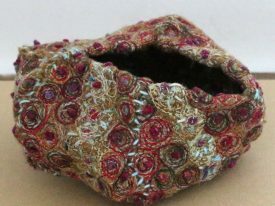 It is then stitched by machine and hand and embellished with press studs (snap fasteners / poppers). 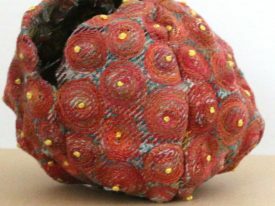 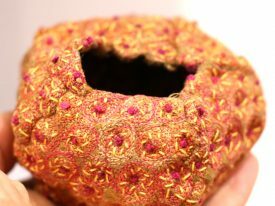 When the segments are sewn together they hold their own shape and reflect the pattern and form of a sea urchin.